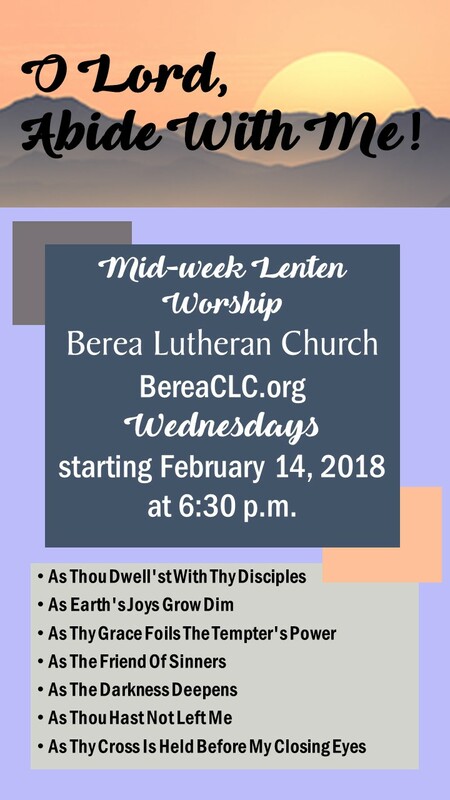 Our midweek services will begin on Ash Wednesday, March 6, 7 pm. When the Second World War ended, merican servicemen and women came home victorious, bringing back mementos of the war. There was another war of far greater importance in which we have mementos. These items in themselves were of no great value, but played a role in Jesus’ passion. We will be considering how they tie in with what He did for us. These midweek services can deepen our appreciation of the redemptive work our Savior, Jesus Christ, accomplished in our behalf. 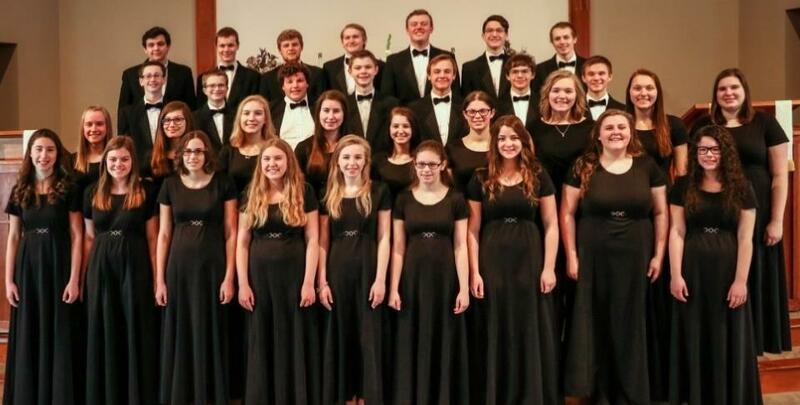 The Minnesota Area CLC Reformation Festival will be held at 4 pm on Sunday, November 4th at Berea Lutheran Church in Inver Grove Heights, MN. A fellowship meal will follow. We hope you can make it! Contact Berea for more details. On July 23-27, 9:00-11:30 am. This includes children age 4 years, to children going into eighth grade. Contact Pastor John Hein (john.p.hein@gmail.com or 763-784-8784) to register. Go to BereaCLC.org/vbs to register. This entry was posted in Events and tagged Vacation Bible School, VBS. Join us this Christmas to celebrate the birth of our Savior and King! 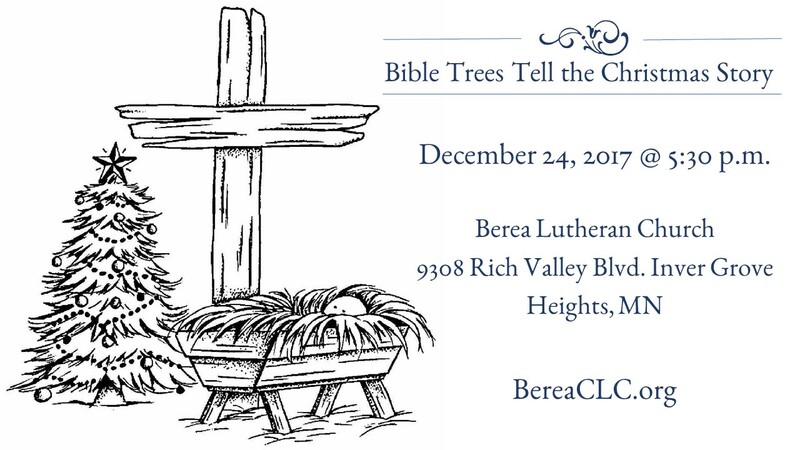 Christmas Eve, December 24 @ 5:30 p.m. the children of Berea Lutheran Church will share this gospel message in Word and song in a service on “Bible Trees Tell the Christmas Story”. We hope you can join us and hear this message! 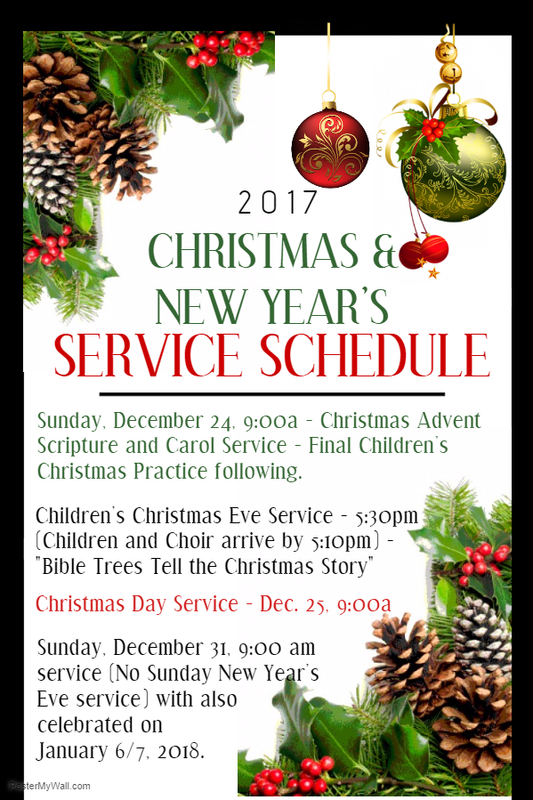 In addition, Berea will hold it’s Advent Scripture and Carol Service on Sunday, December 17, 2017 at 9:00 a.m. We hope you can make it to one of these Christmas services! This entry was posted in Events and tagged Christmas.